In Stock. Sold by Mama Moon Boutique and Fulfilled by Amazon. Gift-wrap available. Sold by Mama Moon Boutique and ships from Amazon Fulfillment. Sold by Woolzies and ships from Amazon Fulfillment. 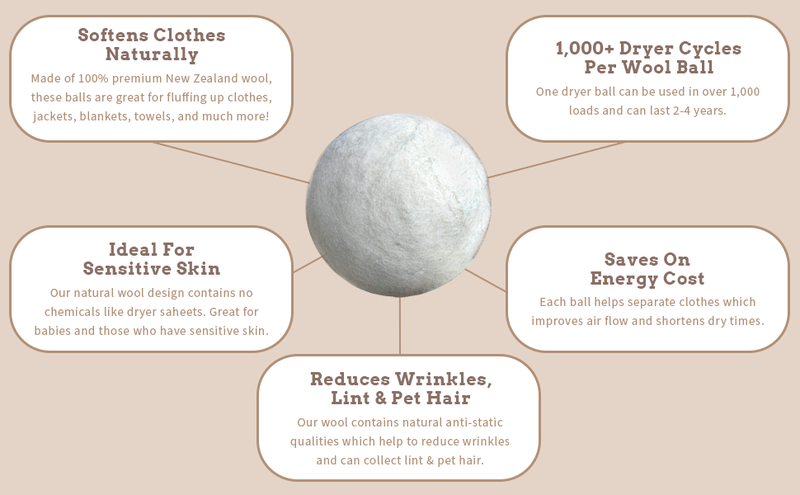 Introducing the Original 100% Premium New Zealand Wool Dryer Balls by Smart Sheep! Did you know that many dryer manufacturers recommend NOT using dryer sheets as they can harm the drying unit? Stop using unhealthy synthetic fabric softeners and dryer sheets that can harm your skin and leave a chemical residue inside your expensive dryer. 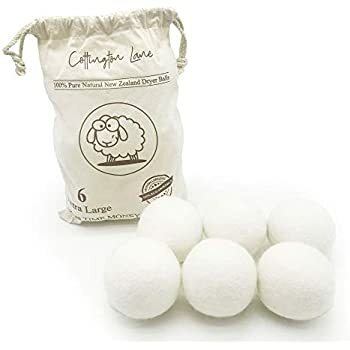 Our Premium Smart Sheep Dryer Balls are all-natural, won’t harm your dryer and help soften your clothes. 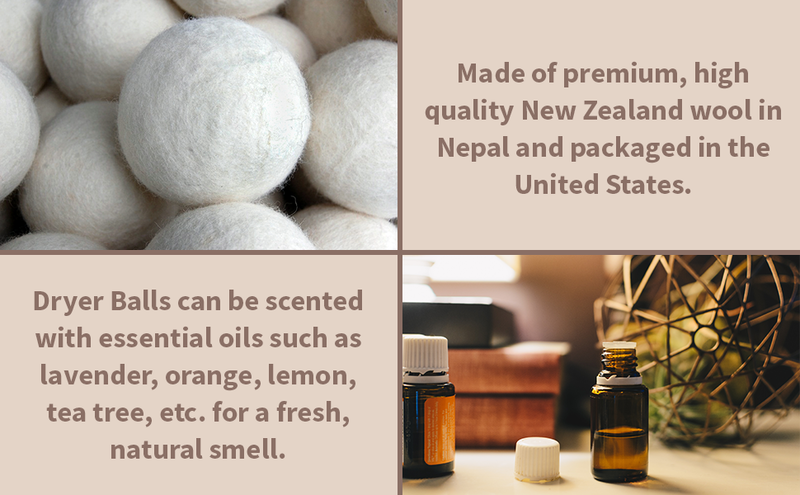 Made of high-quality 100% New Zealand wool, these dryer balls soften and fluff clothing, towels, sheets, blankets, jackets and more! 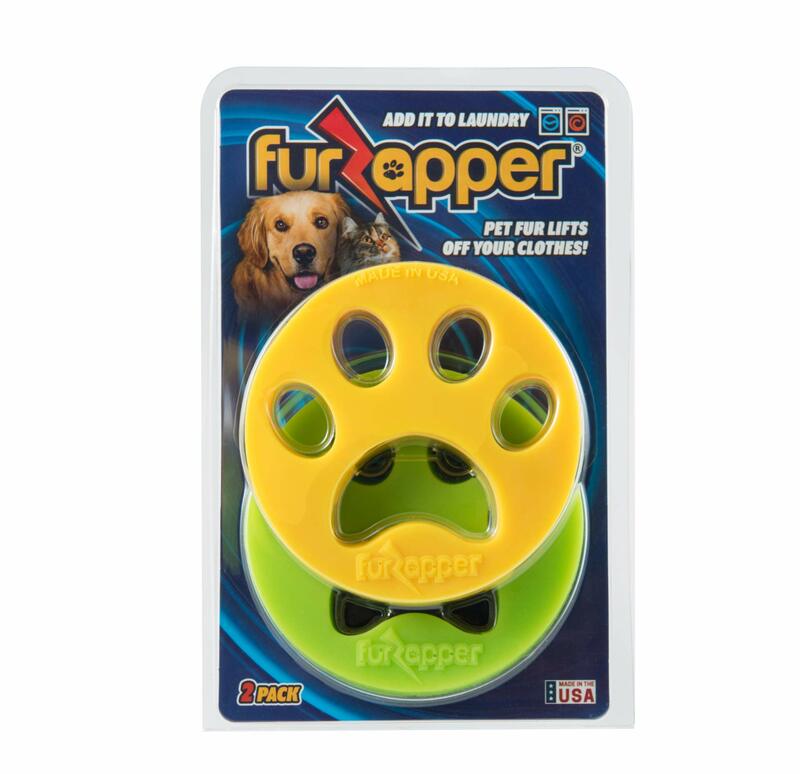 Great for fluffing down items as well. 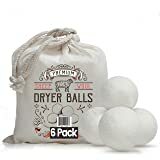 Dryer balls keep heavy items such as jeans, blankets, sheets, and more from getting balled up and help to dry clothes more evenly. 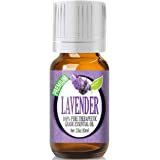 Great for babies and people who have sensitive skin. Each ball is all-natural, hypoallergenic and contains no fillers, chemicals or synthetics. Also, these balls help to prevent static cling! What is Included with your Purchase? 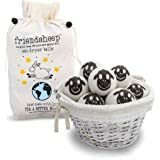 You will receive 3 Original Smart Sheep 100% Premium New Zealand Wool Dryer Balls with your order. 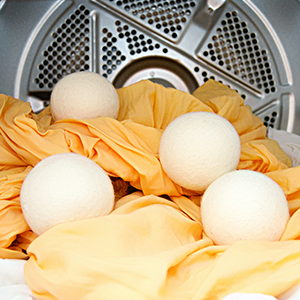 Each unit is inspected and packaged in the U.S.
Place dryer balls in the dryer with your laundry. 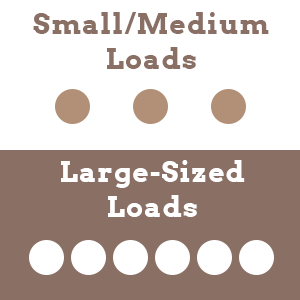 Use 3-4 balls for small or medium loads, and 5-6 balls for larger loads. Turn on your dryer, and watch your clothes dry faster while your clothes get softer. The more balls you use, the faster they will dry! 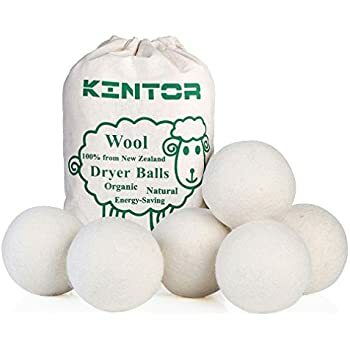 How do Smart Sheep dryer balls work? They work by bouncing around in your dryer, lifting and separating clothing and increasing hot air flow. How large are the dryer balls? 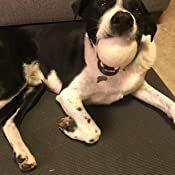 They are a bit larger than a tennis ball. 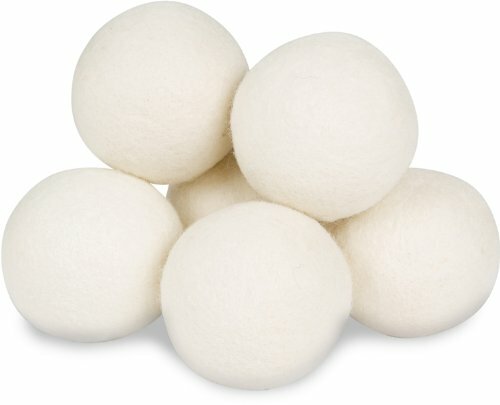 Why are wool dryer balls better than fabric sheets? Fabric sheets use harsh chemicals to soften clothing which are toxic to the environment. My dryer balls are piling, is that bad? Piling may occur on some wool balls but they will continue to work just as well, if not better due to the increased surface area. 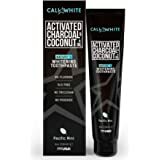 Do they help with pet hair? Yes! 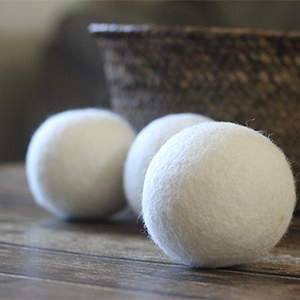 The wool surface of these balls helps to knock off unwanted pet hair from your clothes. - Purchased after being advised to use these with my newly purchased Parachute sheets. 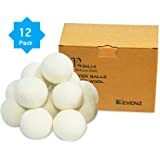 - I have only used these balls in 10-20 dryer loads. - I use a high efficiency washer and dryer, which means clothes enter my dryer more damp than soaking wet. 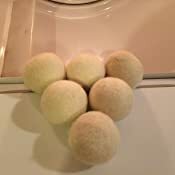 - Adding these balls in dryer has minimal to no effect on drying times. - There has been similarly minimal, if any, static reduction in loads including all 3 of these balls. 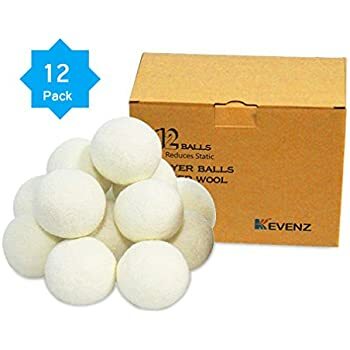 This is my first time purchasing Wool Dryer Balls so I can't say whether these balls are inferior to other similar products. In my experience thus far these balls are a waste of money and time. 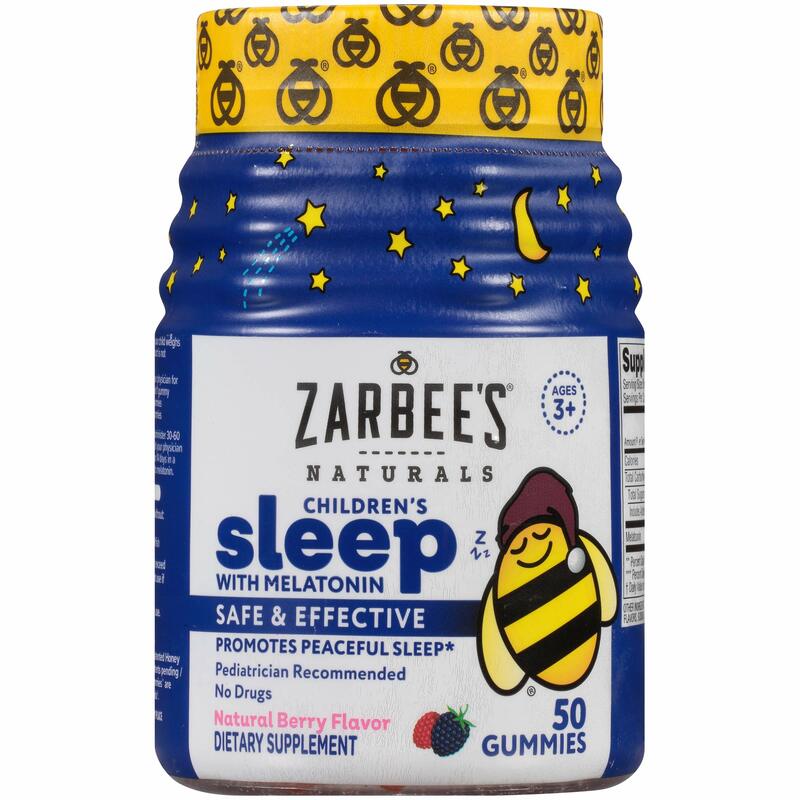 5.0 out of 5 starsVery happy with this product. These are just okay. They're good for fluffing up clothes, but I can't say they speed up drying time. I notice no difference there. They're not quiet in the dryer and they don't seem to help eliminate static. I still need to use a dryer sheet which defeats the purpose of it going "all natural". I'll keep using them for fluffing, but not really for anything else. I had tried making my own - which worked pretty well, but over time a couple of them started to unravel (well, they didn't really "start" to unravel, they had a full-blown breakout)! 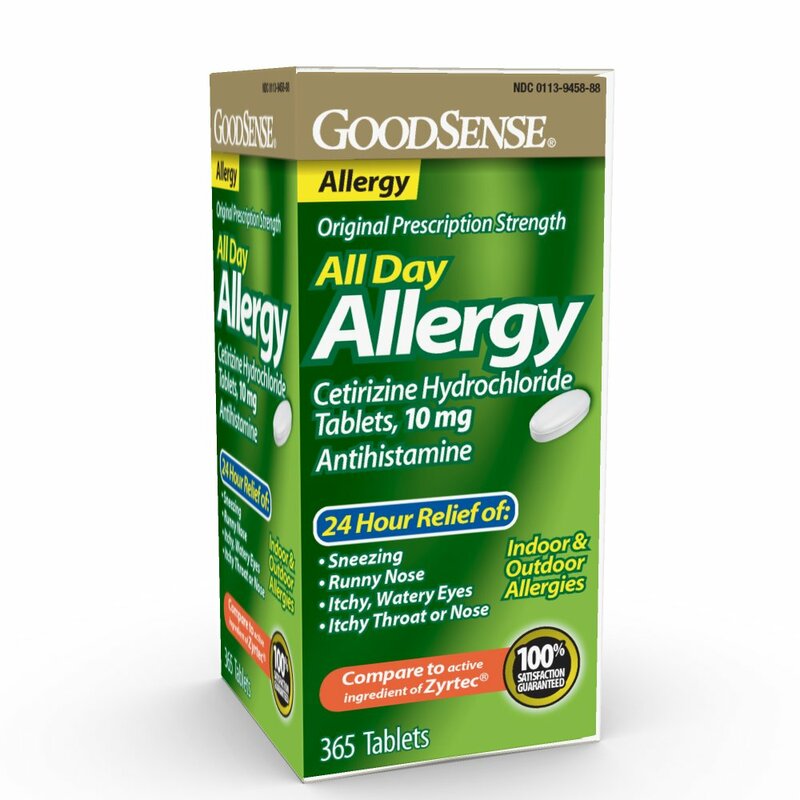 So I did some research and these seemed to be the best deal. They work just as well as my home-made ones, and no worries about opening the dryer to a tangled mess. 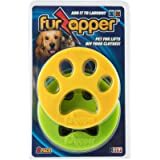 I purchased 2 sets so keep 6 in the dryer at all times - they work great! 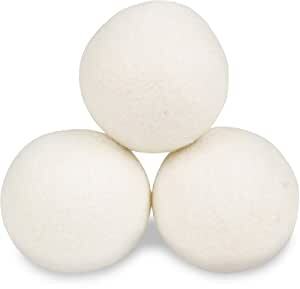 **Update (12/15/15): I am still using and loving these dryer balls! I keep 6 in the dryer and have not used fabric softener since I starting using them - and they still look the same as they did when new (I'm posting a picture that I just took). They do an amazing job and have saved me a ton of money. 1.0 out of 5 starsUseless !!! I've been using these consistently for almost a year, and these are completely Useless. The drying time is exactly the same as it used to be before using these, if it's not longer!!!! 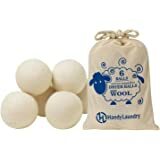 5.0 out of 5 starsWool dryer balls are da' bomb! 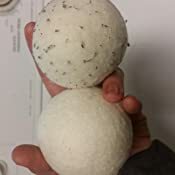 This is my second pack of wool dryer balls, but my first pack from Smart Sheep. 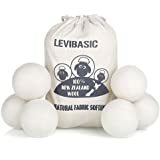 I was looking for another set since more wool dryer balls are recommended for large loads, but the local store I bought my first set from no longer carried them so I decided to give Smart Sheep a try. 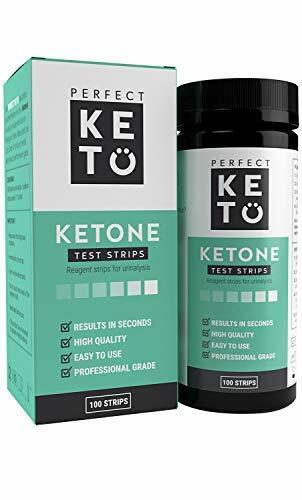 These seem to be excellent quality and have been working extremely well. 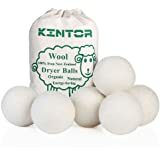 Wool dryer balls are supposed to be a great replacement for dryer sheets (which I've been trying to get away from due to the chemicals) with natural softening and static cling fighting properties, These wool dryer balls do their job admirably. I do add some aluminum foil to the dryer for a little extra power in that fight against static cling (I live in a VERY dry environment so static cling is a constant battle), but I've never had any problems with the softening effect. 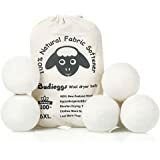 If you are trying to avoid chemicals while still making sure your laundry is soft and cling-free, I recommend giving Smart Sheep wool dryer balls a try. Used to use the silicone dryer balls before I switched to these. Love them! 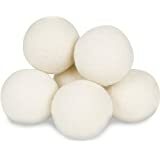 Not sure if this is just in my head - but it seems like these are gentler on my cloths than the silicone balls. And not as loud when they bounce around during use. 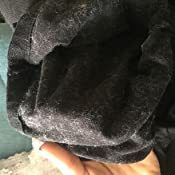 The fact that these are wool - I never have to worry about toxic residues on my cloths. Have used them almost everyday for 6 months now. Still holding up very well. I got these as a sort of experiment to see if my clothes would dry any faster than without them, but sadly that was not my experience. 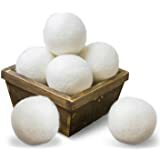 It may be that two or more sets of these Dryer Balls are needed to make a noticeable difference, but I can't justify the price of more sets to shave a few minutes off of dryer time. 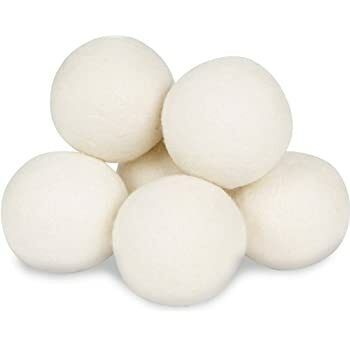 On the positive side, one of the advantages I found with using these balls is when I experimented by dropping about 20 drops of Peppermint Essential Oil onto each ball, and tossing them into the dryer to dry with the wet clothes. The balls do a great job at distributing the oil to all the other clothes, which is something that I was not expecting but am now happy to do in place of vinegar and essential oil in the rinse cycle. By the way... 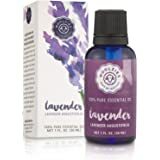 I'm looking for other essential oil scents that would smell good on a guy. Not looking for mossy or sandlewood tones, or anything that makes me smell like an incense stick. 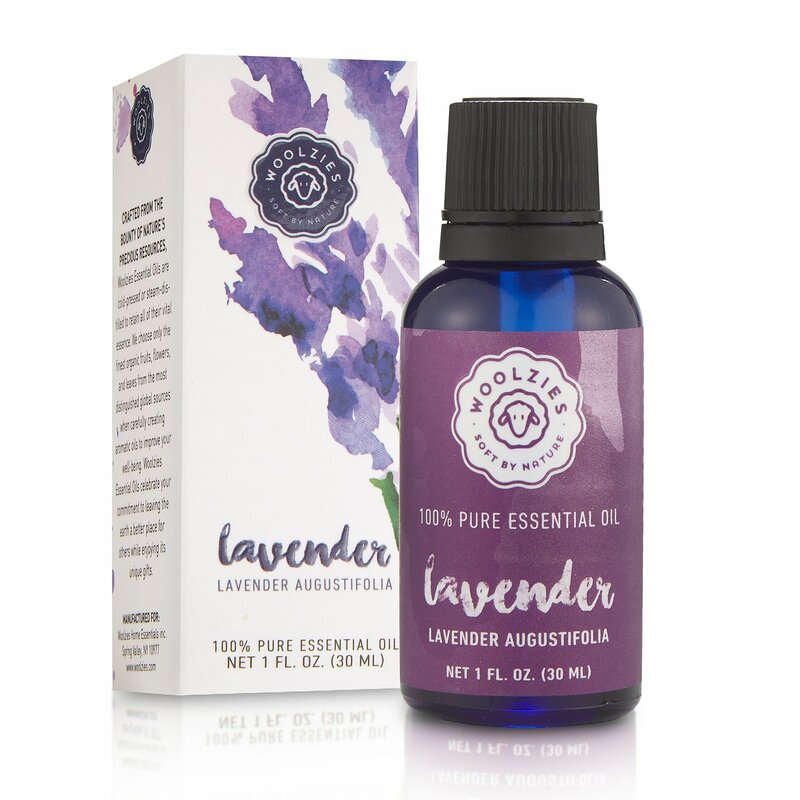 But if anyone has any combinations of essential oils that they found particularly attractive, I would love to get some ideas from you in the comments section, which could also help others try your suggestions, as well. Thanks!